Thanks to a 2-2 draw with Malmo Genk moved one step closer to booking their place in the Europa League, but they can’t afford any complacency as Sarpsborg are pretty unpredictable. Genk were beaten by Sarpsborg 3-1 earlier in the process, meaning that the hosts are hungry for revenge. The Norwegian side suffered a 3-2 loss to Besiktas in front of home fans in their last group game, with the team dropping a two-goal advantage. Genk are a real force to be reckoned with at home and you should bear in mind that they recorded 11 wins in previous 14 home games in the Europa League. Mbwana Samatta has netted 11 goals in the national championship this season and he is likely to prove a handful for Sarpsborg defenders. Genk are leading the chase for the domestic title and they are definitely capable of beating the Norwegian club on home soil. Jere Juhani Uronen is a professional footballer who started his senior career at TPS of Finland. The pacey full back scored one goal in 18 league appearances for the club and in 2012 he joined Swedish side Helsingborgs. Uronen played for the club from 2012 to 2016 and then he moved to Belgium. The Finnish footballer, who was born on 13 July, 1994, signed a contract with Genk, which expires on 30 June, 2018. The Genk full back, who is capable of playing as a left midfielder as well, has five caps for Finland U21 team and he made his senior debut for the Finnish national team on 26 May, 2012. He started the match against Turkey and it has to be noted that Finland emerged triumphant (3-2). Jere Uronen made 12 league appearances for Genk in the 2015/2016 season, scoring one goal for the team. The left-footed player is capable of playing on both sides of the field. 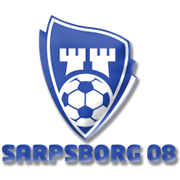 Sarpsborg 08 are a Norwegian side which won the domestic cup six times. In the 2018/2019 season Sarpsborg booked their place in the Europa League group stages, with the team facing the likes of Besiktas, Genk and Malmo in Group I. It has to be noted that they made it to the group stages of the competition by beating the likes of IBV, St. Gallen, Rijeka and Maccabi Tel Aviv in the qualifiers. The club was founded in January, 2008 and they play their home games at Sarpsborg Stadion, which can hold 6,833 spectators. Sarpsborg 08 have yet to win the national championship, but they finished the 2017 season in third place in the standings, 10 points behind champions Rosenborg. The Norwegian side play their home games in blue shirts with white stripes, whilst they wear green shirts with black stripes on the travels. Sarpsborg 98 played in Norwegian third tier at the start of the 21st century, but they quickly secured promotion to the elite division.